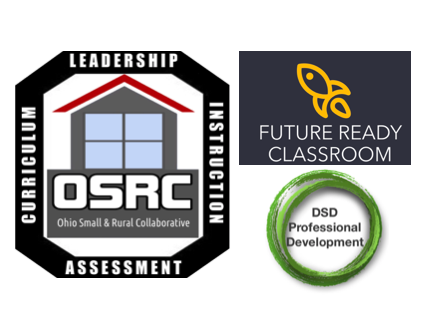 Participants in the Future Ready Academy will be asked to participate in, two face-to-face workshops, two onsite coaching sessions, online learning modules, and ongoing discussion about how to implement the future ready skills into the school district, school, and classroom. The Future Ready Academy will provide optional virtual meetings once a month to talk about strategies, ideas, and time to share what is working in the future ready classroom. Along with the virtual session, the participants will also have the chance to learn from future ready teachers, administrators, and professors during the workshops, on-site coaching, and Twitter chats. Regardless, this self-paced course will provide quality content that will walk any educator through the process of how to implement the future ready methodologies through the three phases of blended learning. Workshop1 and Module 1 will start out with the three vital elements to constructing a future-ready learning environment through the deployment of the blended learning structure. The essential keys include having a vision, use of time, and generating a support system. Developing a concept of blended learning comprises understanding the definition of blended learning and taking time to redesign the learning environment. Use of time explores how to get started and generating a Phase 1 lesson plan. Finally, setting up a support system through the online community, Twitter, or with onsite colleagues helps to round out the critical essential parts of starting blended learning. Virtual Mini Lesson with the facilitator- explore the three key essentials to implementing blended learning through classroom examples, lesson plan examples, and deployment plans. Virtual Mini Lesson with the facilitator - explore the four parts of a blended learning lesson. Examine example Phase 1 lesson plans in elementary, middle, and high school learning environments. Phase 1 reflection questions to complete the Phase 1 lesson plan and after the deployment of the Phase 1 lesson plan. Module 3 will examine the importance of developing a growth mindset within the learning environment. Not only is having a growth mindset necessary for the teacher but also for the learners. The learners will need to examine what it means to have a growth mindset especially when the power of learning is transferred for the teacher to the learner. Virtual Mini Lesson with the facilitator - exploring the importance of implementing growth mindset techniques in a blended learning classroom. Defining roadblocks that are set up by students, educators, and school districts and how to work on the barriers with the growth mindset approach. Workshop 6 will examine how to level up to the next phase of blended learning by taking a deeper dive into the blended learning rubric. Week six will also focus in on the importance of Future Ready Skills and how project-based learning will deepen the understanding of content standards. Virtual Mini Lesson - How can an educator level up to the next phase in the blended learning rubric? The mini-lesson will examine example level up strategies and concepts that will push any educator to continue to develop the craft of blended learning. Throughout the Blended Learning Academy course, the participants can read the following books to help understand the philosophy of blended learning and growth mindset.